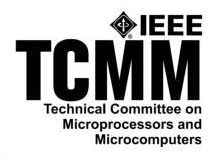 The 13th IEEE MCSoC 2019 invites proposals for half-a-day proposals on specific aspects that complement the conference main tracks in related areas to Computer Systems and Applications. We are looking for proposals across a wide range of topics and levels, ranging from fundamentals to the latest advances in hot topic areas. 4. Intended Audience and prerequisites: Describe the background assumed of tutorial attendees (i.e. beginner, intermediate, advanced). 6. Description: A statement giving clear motivation/justification for the topic to be presented at MCSoC 2018 and the outline of the proposed content. 8. Biography of the tutorial presenter. 9. Requested tutorial length (preferably ½ day).